Please note that items you purchase in Facebook, Mac, or mobile versions of this game will not be available in the PC version. 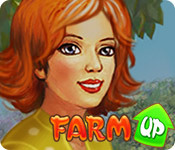 Farm Up is rated 3.6 out of 5 by 293. Rated 5 out of 5 by Starlifter57 from Excellent challenge to create a production plan and execute it. I am definitely hooked. I look forward to each days competition and think it is appropriately challenging for players of all ages. Rated 5 out of 5 by Pollyanna68 from The greatest stress reliver. I had to about 600 gold pieces the family was all their. a lot of water life was great on the farm. It helped my real stressful life. When things got hard I'd get on the farm. Then it happened my computer died. What am I going to do. I got it up again but not the Farm. I'm now on my lap top starting over again. Just like life you may have to start over and perhaps change things around but its the BEST game I know.Now in the New Year is the best time to start over. Mabe my son will be able to fix it & perhaps find the Farm. At least I have a lap top to rebuild my Farm. ENJOY. Rated 5 out of 5 by Ronryd from Super Stressful game This is a very stressful game. One mistake and your whle farm could mess up. Rated 5 out of 5 by JazzyJan123 from "Fun & Expensive!" Was wondering the reason this game was offered 'free of charge'... well, now the reason is clear: The player must purchase additional items from the 'bank' to help the game advance quicker. Yes, the game was 'free'; however, so far, I've purchased over $5 in items i.e. gold & silver coins... and, plan to purchase more - I'm hooked! 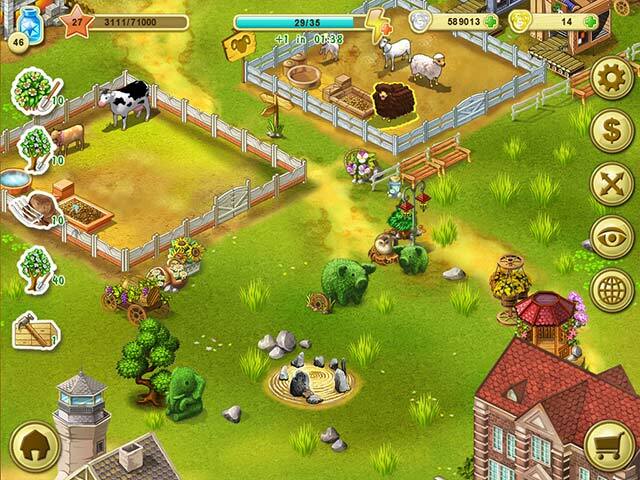 Rated 5 out of 5 by SRK_Animator from Love this farm game! At first it was boring because the energy was so low, so it's run out fast. It's my fault for not reading that you can buy unlimited energy with limited time. So after I knew there are unlimited energy, I bought it and I love it. I try saving as many blue bottle as I can, so when unlimited energy is time up, I can use blue bottle to buy energy, that help a lot, and also I collected water as much as I can because it the source of my energy ran out so fast. After using unlimited energy, I get very addicted to this game but somehow I feel a bit lonely that it doesn't have online tournament since this is an offline game. Rated 5 out of 5 by KeiraMasa from Love it! I have been playing this game for a long time I start at least a year ago via windows. I wanted to see how it was different on BF. 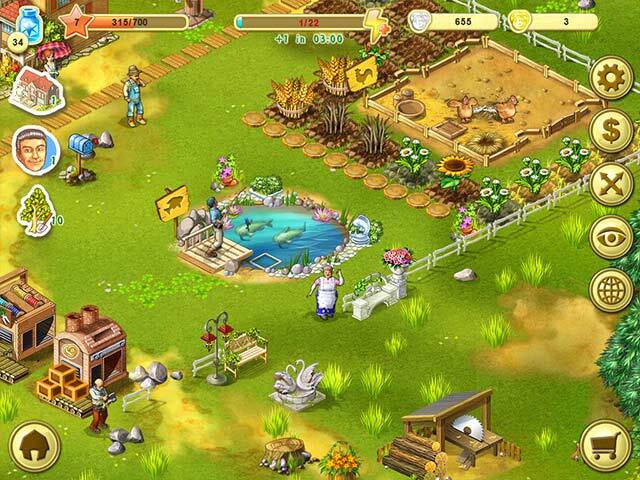 It is one of the best farming games I have ever come across...and trust me that's a lot. 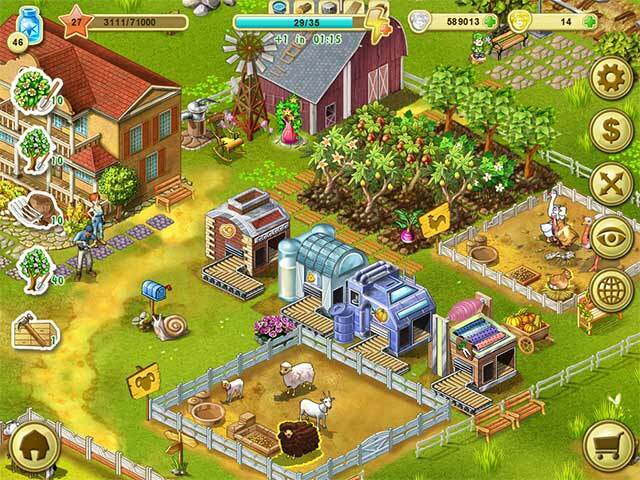 It is easy to play and if you pay attention to the cost of the seeds and to how much the product sell for, you will know what to plant to make the most money. it is a great simulation game that is good for anyone at any age!